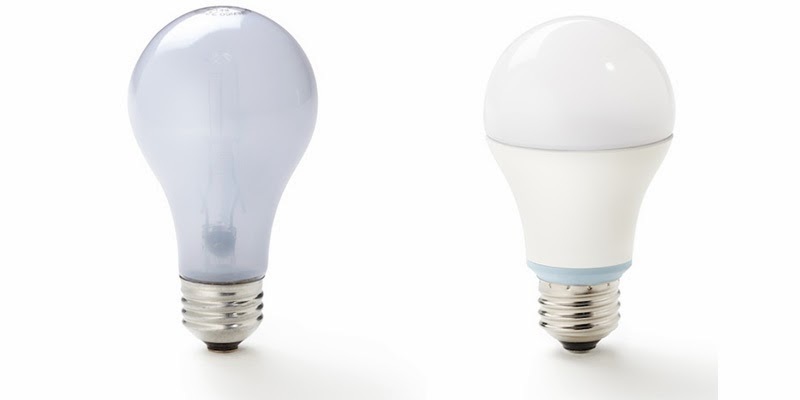 As new energy-efficiency standards are set to take place January 1, 2014, consumers can choose among GE reveal® halogen, CFL, and LED bulbs in addition to GE Lighting’s other energy-efficient options. Makeover Any Room with GE reveal’s Innovative Clean, Beautiful Light™ – now available at Target, just in time for the New Year! We all know the holidays and New Years are the perfect time to consider a makeover. Did you know the quickest and easiest way to makeover your home for the holidays is with good lighting? With GE reveal® light bulbs, you can switch on the true beauty of life’s spaces and the people within them. 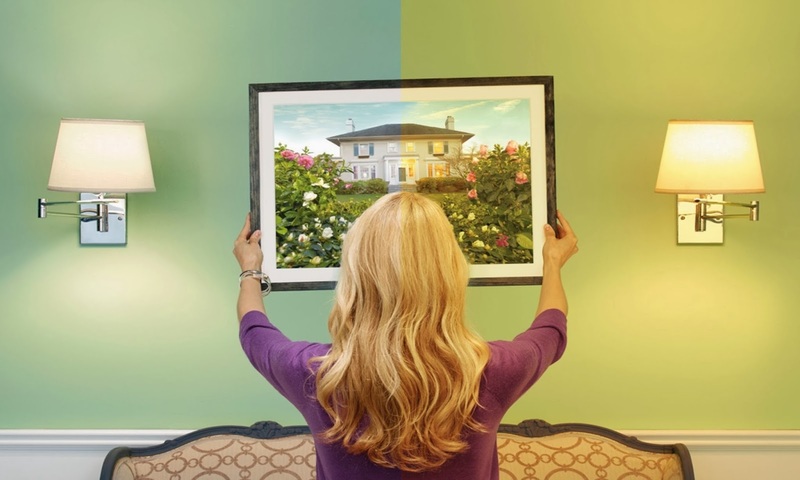 You’ll be amazed at how GE reveal® bulbs replace yellow, dingy lighting with crisp, white light that makes colors and patterns pop, transforming homes from ordinary to extraordinary with just the flip of a switch. GE’s new and innovative reveal® LEDs offer the same aesthetic benefits as the rest of the GE reveal® brand plus energy-efficient technology that allows them to last over a decade, based on three hours of usage a day. 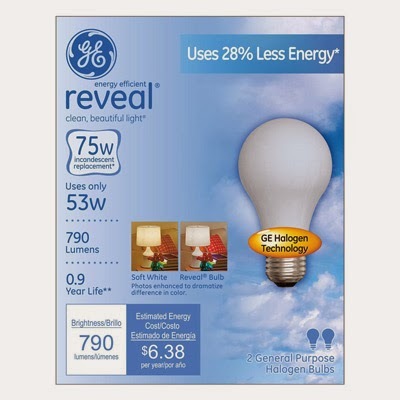 Buy GE reveal® at a Discount at Target! 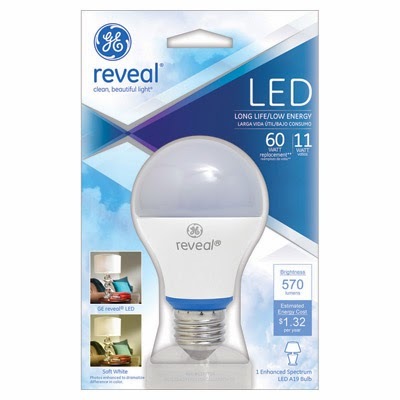 Not only are GE reveal® LED bulbs available almost exclusively at Target, but there you can find great prices and savings on all GE reveal® solutions. Target’s Cartwheel App provides savings for in-store purchases of GE reveal (as well as many of the other items you’ll likely need in the upcoming months). Simply download Target’s money-saving Cartwheel app, (available on Apple IOS here and Android here), select the GE reveal (and any other savings you need) and head to your local Target for great deals! Target now features a new lighting section including GE reveal® premium light bulbs. 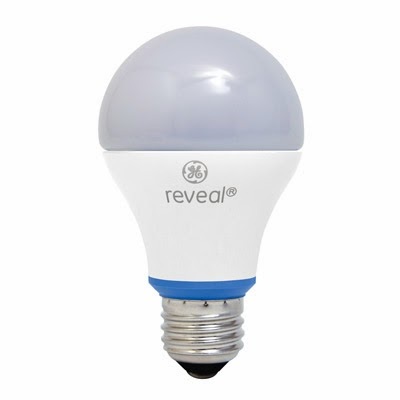 The reveal® bulbs are known for transforming rooms by removing the dull yellows of standard soft whites and instead providing beautiful clean white light that help the colors (and everything else) in your home to pop. GE Lighting also just released a new LED version that you can find at Target. I was very fortunate to be able to receive GE reveal® bulbs to do your own quick and easy reveal lighting makeover. 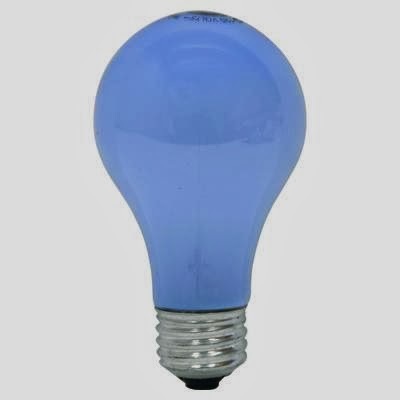 I have used classic bulbs for many years, to me there was not much of a difference, a light bulb is a light bulb right? Well I have to admit I was wrong. We tested the light bulbs all through the house, from the kitchen to the bedrooms. The soft light was crisper, and the colors in the room were no longer muted and looked so much better. 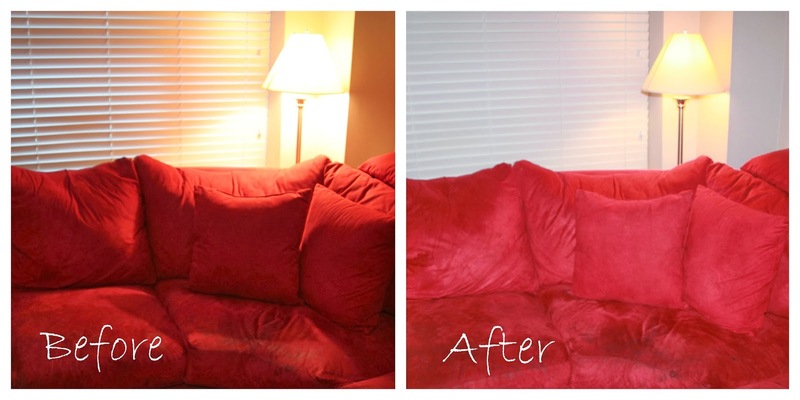 Here is my living room lamp before and after, look how much more vibrant my couch looks, isn’t it great? Overall I was very happy with the new lighting look in my home, my home was bright, and really comfortable. I love the look of the new light bulbs, and I am now a fan for life, I will be back. I am sure if you try them, you will love them too. The generous folks at GE are giving one of Susan’s Disney Family readers a chance to win a $50.00 Target gift card and a package of four reveal halogen bulbs, so you can do your own room makeover. Would you like to win? Please let me know what room in your home needs this lighting makeover? There are also other ways to enter, please enter below. 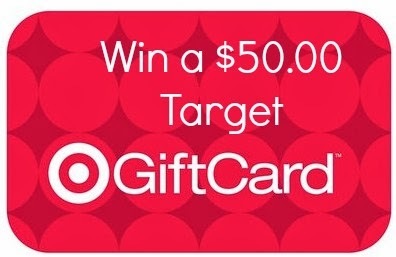 One winner will win a $50 Target Gift Card and a package of four reveal halogen bulbs. Disclosure: The reviews and or opinions on this blog are my own opinions . I received light bulbs to review. No monitory compensation was received. I was not required to write a positive review. Your experience may differ. The opinions I have expressed are my own I am disclosing this in accordance with the Federal Trade Commissions 16 CFR Part 255: Guides Concerning the Use of Endorsement and Testimonials in Advertising . Our family room could use a lighting makeover. My living room could use it! My kitchen needs a lighting makeover! Master Bedroom could use more light. My living room could use a lighting makeover. My office is in need of a makeover. The lighting is terrible in there and I spend a lot of time in there. My bedroom needs the lighting makeover. My living room desperately needs a lighting makeover! My living room needs a lighting make over asap. My living room, it's cavelike. My livingroom needs a light makeover! My living room needs it. It would have to be the bedroom. So needs it. My kitchen could use a lighting makeover. Thank you for the nice giveaway! My master bedroom get use it. My living room definitely need a lighting makeover. The lighting is not good at all. I would makeover the bathroom. My living room could use a makeover. My kitchen and/or bedroom definitely could use a lighting makeover! I'd like to make over my living room. My bedroom as there's only a lamp right now. My kitchen needs new lighting. I would makeover the family room. Our living room could use a lighting makeover. My bathroom needs a lighting makeover, it's dark and dim. My bathroom could use a makeover. Our den could use a lighting makeover. My home office really needs a lighting makeover. My living room could use it the most. My sunporch could use one! My bedroom could use a makeover! The living room is the first room that could use a makeover. My living room is pretty dark. My bedroom. The lights are all old and yellowed. My master bedroom needs a lighting makeover. our living room could use a makeover. My craft room could use a lighting makeover - thank you. My family room could use a lighting makeover, especially during the winter. The room where I do my cross-stitching (living room) will be so much brighter with these bulbs! Wow! my basement bathroom, it's scary dark. My living room! It is too dark for my liking. The bathroom needs a lighting makeover. My living room really needs a lighting makeover! Our kitchen could use a lighting makeover. My Garage! My basement, which is the kid and woman cave. We do puzzles down there... the living room! I need good lighting everywhere, doesn't everyone? I can't wait to get these bulbs. I REFUSE to buy the mercury bulbs being forced on us. WHO needs to put more mercury into the earth? All of my bulbs need replacing. Especially the living room by my readiing chair. Our laundry room could really use a lighting makeover. It is really dark in there and makes it tough to get things done. My bathroom really needs it. It's not very bright in there. My family room could use a makeover. I would make over my master bathroom. My living room could use a GE reveal makeover. My bedroom has an ancient ceiling fan that really needs an new look. Our living room, we just have a lamp to light it. I would makeover the dining area. My bedroom could definitely use the makeover. My bedroom could really use the makeover. My living room needs a lighting makeover. It's too dark. My bathroom needs a major one! My bathroom could absolutely use a lighting makeover. My living room is incredibly dark, but my dining room also needs a lighting makeover. My bathroom which is quite dim. I need one in my bedroom. My bedroom could use a light makeover. Thank you!! I would love to spruce up my kids playroom! my bedroom could use the makeover! my master bath needs a lighting makeover! I will change my bathroom first, and then my living room. please let me know what room could use a lighting makeover? living room could use a lighting makeover. our bedroom needs a makeover. My Bedroom could use a Lighting Makeover. My bedroom! the paint makes my roomsuper dark and i need something to light it up. My spare room could use the makeover. Our bathroom has terrible lighting and could use a makeover. I would use it in my bedroom. I think my living room lighting needs a make over! I would makeover the living room. my parlor. The lighting is horrible, and colors become distorted in this room. my livingroom needs a lighting makeover! My son's room could use a makeover. My living room could use it! Thanks so much for the fantastic giveaway! My bedroom! I have no overhead light! My home office could use a makeover... I'm an artist and can always use more light! Our home office could use a makeover - it's fairly dim and drab as is and needs some major sprucing up. My bedroom could use a makeover. My living room always looks orange. It could use a makeover. My living room needs a lighting makeover. 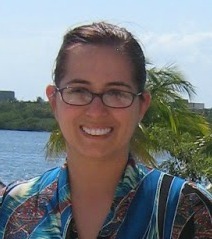 My office could use a lighting makeover. My kitchen could use some lighting help! Thanks for the chance to win! My bathroom could use a lighting makeover. my living room could definitely use a lighting makeover. My bedroom. Feels and looks live a cave when getting dressed in the morning. My family room could use a lighting makeover.